The perfect way to serve pasta? Not really! A common misconception, seen mostly outside of Italy. We call it the 'Mamma Miracoli Plate'. 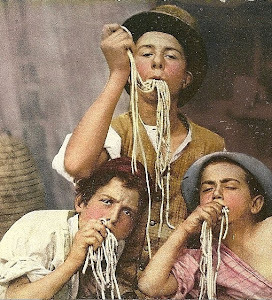 Pasta should never be served this way or without any sauce at all. 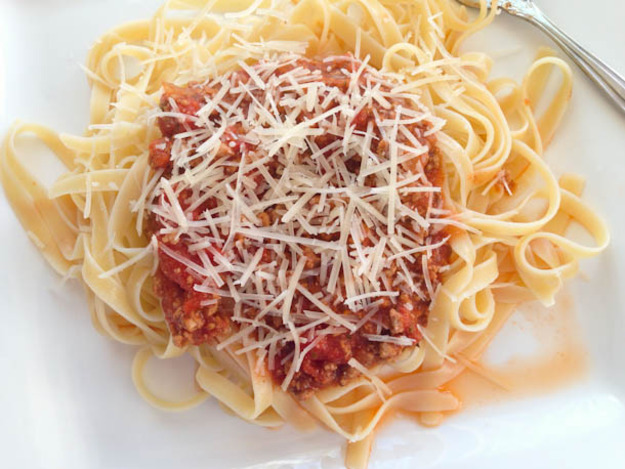 Reason is the small layer of starch that covers the pasta after cooking. If we do not add sauce to the pasta immediately after cooking, it will start to stick and it will be very hard to separate. Additionally, we want the pasta to soak up some of the sauce while cooking. This way, the end result will be much more flavorful. Yes, you can add some olive oil to the pasta to prevent sticking, but this would later prevent your sauce from sticking to the pasta also. 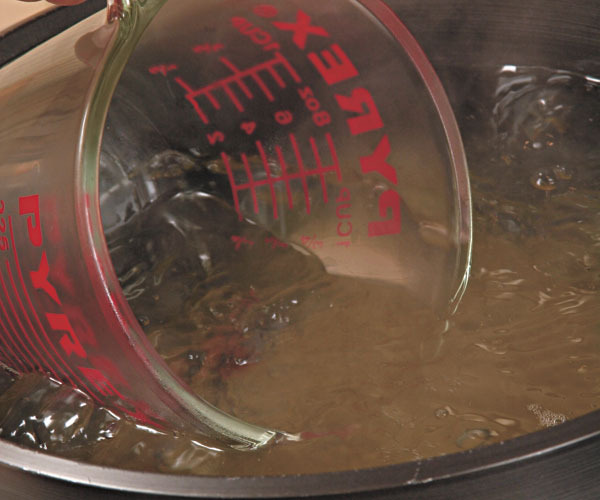 Rinsing your pasta after cooking to prevent sticking is out of the question for that same reason. 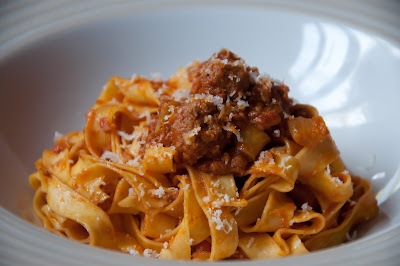 So what is the best way to cook and sauce pasta? 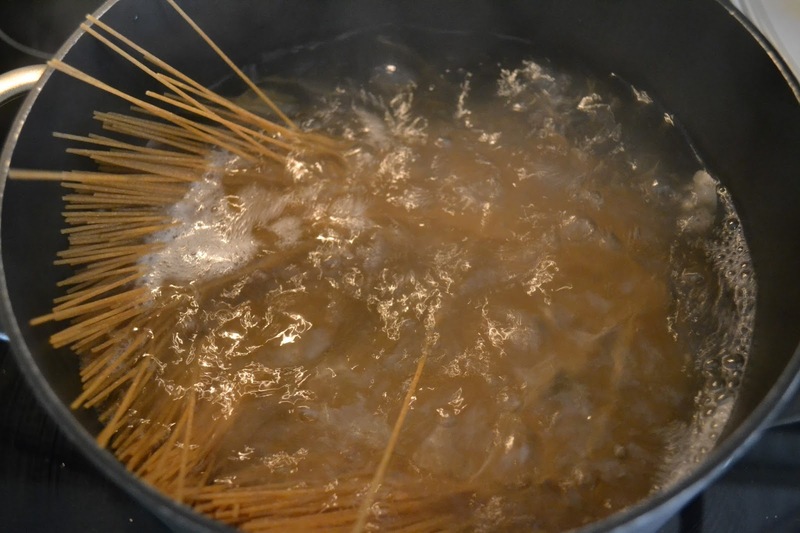 First, cook the pasta in a moderate amount of lightly salted water. Covering the pasta with 2-3 cm of water is more than enough. Cook the pasta until slightly under cooked (1-2 minutes less cooking time than indicated on the packet). Once cooked, you can drain the pasta through a colander, but make sure to reserve a cup of the cooking water. 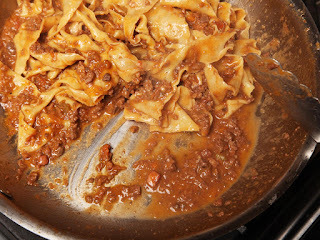 Best way is to use a pair of tongs or a pasta spoon to move the pasta directly from the water into the sauce. 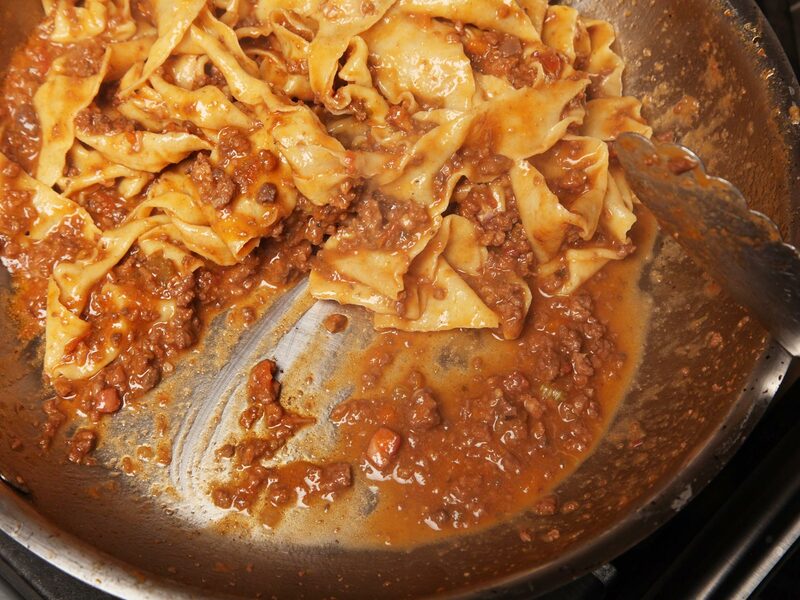 Heat up a portion size amount of sauce in a skillet and add the pasta. Finish cooking the pasta in the sauce until it is cooked through but still has some 'bite' or as the Italians call it 'al dente'. Add some of the cooking water if the sauce becomes too thick. You should avoid dry pasta and aim for a nice saucy consistency as shown here. Also make sure to not put too much sauce on your pasta. Serve the pasta on a warm plate and add your favorite toppings.